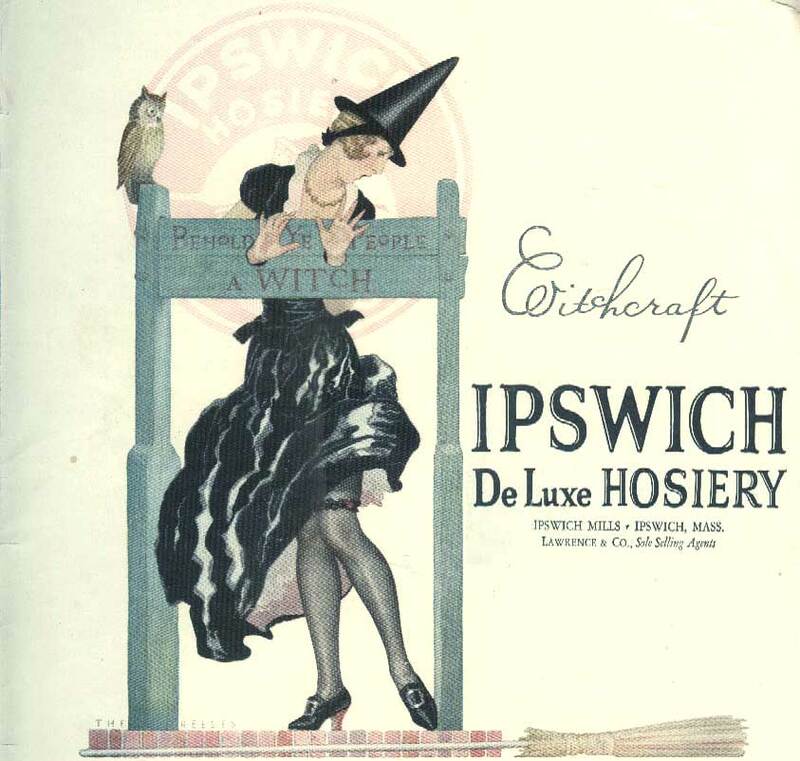 Ipswich hosiery began with a group of women in Suffolk Ma in the 19th century. 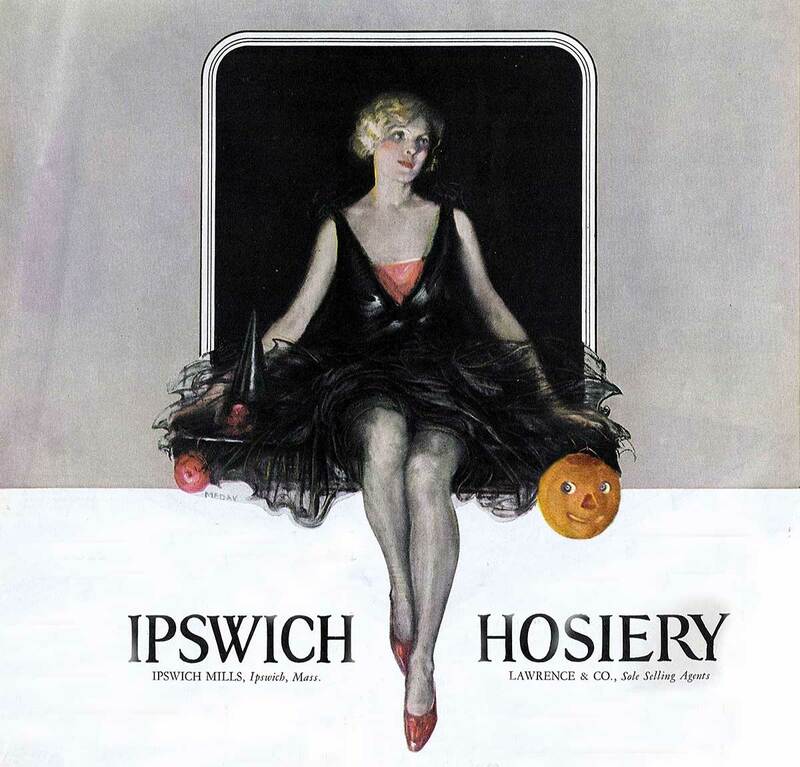 By the 1920s the Ipswich hosiery mills were among the top selling machine wash stockings in the US, alongside brand leaders such as Holeproof and Luxite. 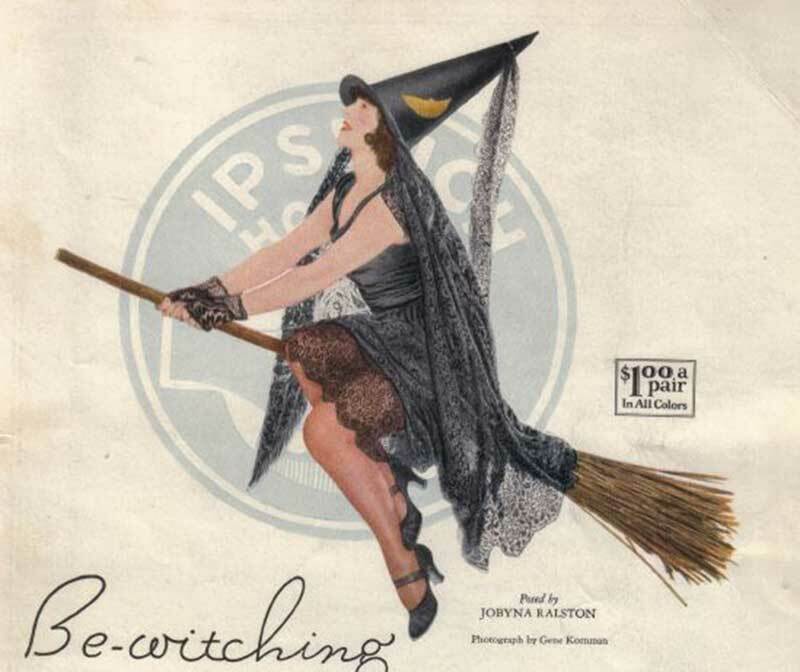 Their Halloween ads which appeared in 1924 became a seasonal trademark, and their iconic ‘hosiery on a broomstick’ advert of 1926, quickly established their model, actress Jobyna Ralston, as a Halloween pin up . 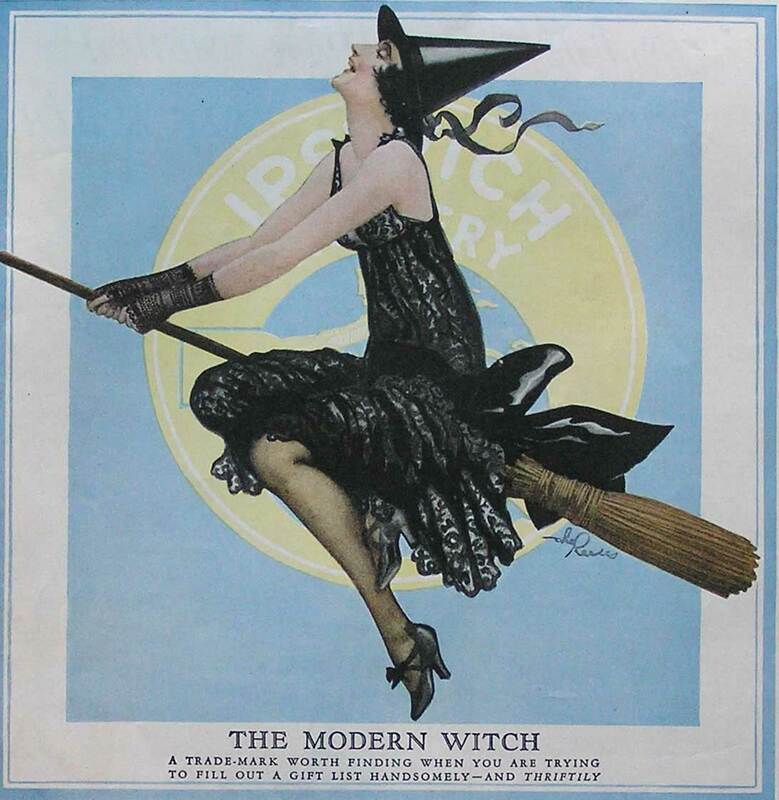 The roaring 1920s was a time for partying, and the Halloween season saw young flappers go to town on their costumes. 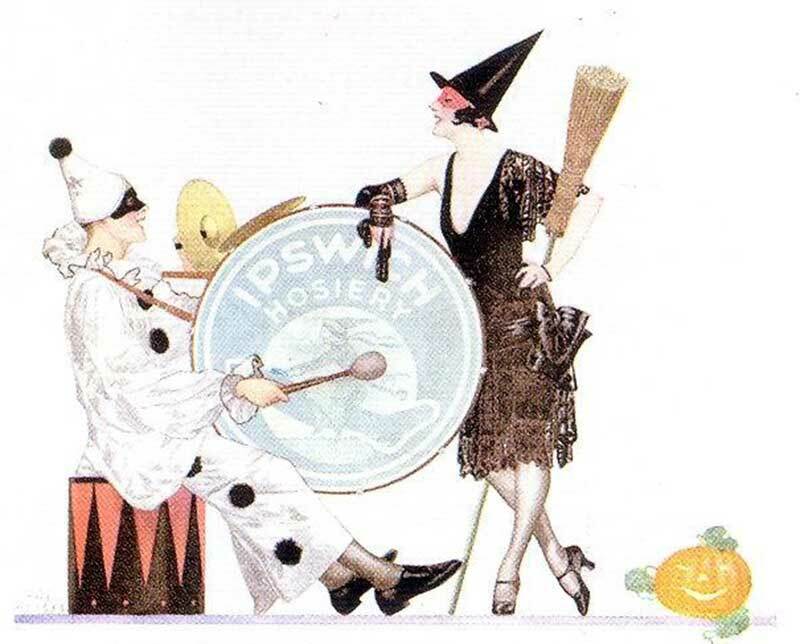 Ipswich hosiery perfectly marketed this era with their Halloween themed hosiery ads. 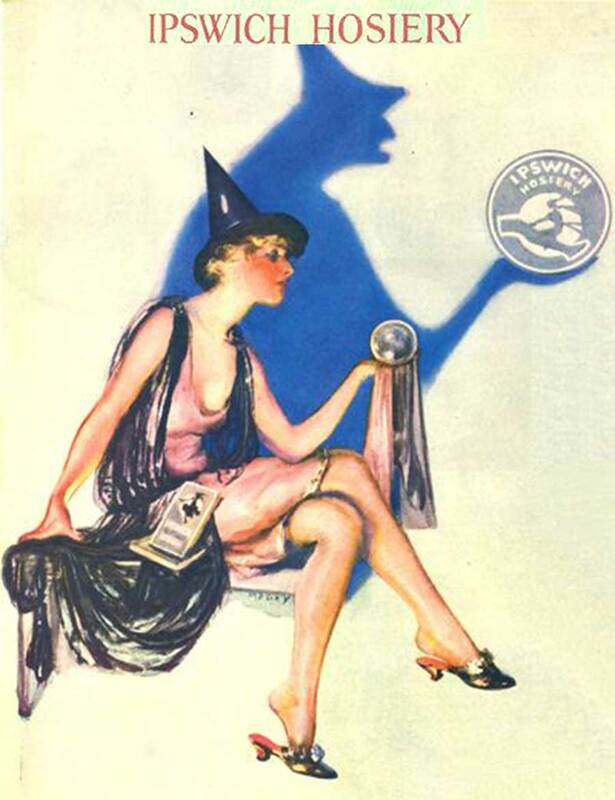 You’ll need new stockings in the new colors for fall. Halloween begins a new season. 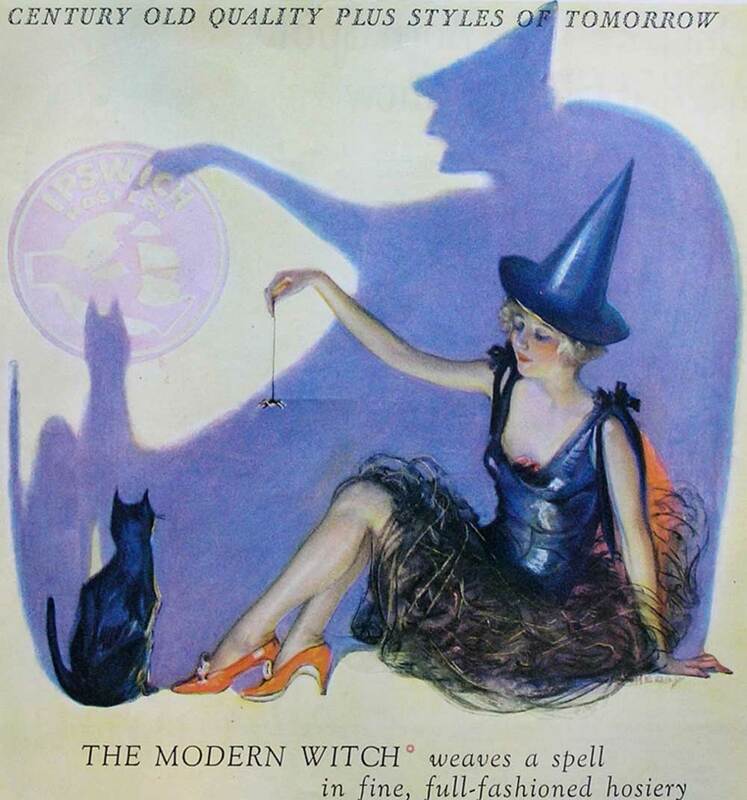 Party frocks, masquerade costumes, fall fashions – these timely considerations send the feminine world to take stock of closets and drawers, and then go shopping.